It is proposed to explain here the secrets of a chain of warlike demonstrations which continued from the eighth month of the first year of migration till the month of Ramadan of the second year and were in fact the first military demonstrations and war manoeuvres by the Muslims. 1. Not more than eight months had yet passed since the arrival of the Prophet in Madina when he gave the first standard to his brave commander named Hamzah bin Abdul Muttalib and sent, under his command, thirty mounted soldiers from amongst the Muhajirs up to the coast of Red Sea, which was the route adopted by the caravans of Quraysh. At a place named ‘Ais he came across a caravan of Quraysh which was being managed by three hundred men under the leadership of Abu Jahl. However, through the mediation of Majdi bin ‘Arnr, who had good relations with both the parties, they kept away from each other and the Muslim soldiers returned to Madina. 2. Simultaneously with the despatch of this body of men ‘Ubaydah bin Harith bin Abdul Muttalib was sent towards the caravan of Quraysh along with sixty or eighty mounted soldiers from amongst the Muhajirs. He went up to the waters lying below Thaniyatul Murrah and met the caravan of Quraysh which consisted of two hundred men led by Abu Sufyan. However, the two parties kept away from each other without anyone of them striking the other. Only Sa’d Abi Waqqas shot an arrow. Moreover, two Muslims who were in the caravan of Abu Sufyan joined the party sent on the mission. 3. Once again Sa’d Abi Waqqas was sent to the Hijaz with eight other men. He also returned without confronting anyone. In the terminology of the historians the campaigns in which the Prophet did not participate are called Sariyyah and those in which he participated personally are called ‘Ghazwah’. 4. In the tenth month of ‘Migration’ the Prophet entrusted the religious affairs of Madina to Sa’d bin Ma’az, and himself went up to Abwa’ with a group of Muhajirs and Ansar to pursue the caravan of Quraysh and also to conclude a treaty with the tribe of Bani Hamzah. He did not meet the caravan of Quraysh but concluded a treaty with the said tribe. 5. In the first month of the second year he nominated Sa’ib bin Uthman or Sa’d bin Ma’az to be his representative in Madina and himself went up to Bawat along with two hundred men to pursue the caravan of Quraysh. He did not, however, find the caravan, manned by one hundred persons, and led by Umayyah bin Khalaf, and returned to Madina. 6. In the middle of Jamadiul Awwal a report was received that a caravan of Quraysh was proceeding from Makkah to Syria under the supervision of Abu Sufyan The Prophet appointed Aba Salmah to be his representative and himself went up to ‘Zatul ‘Ashirah’ along with a group of persons. He waited there for the caravan till the beginning of Jamadiul Akhir but could not lay hands on it. During his stay there he concluded a treaty with the tribe of Bani Madlaj. A description of this treaty is recorded in history books. 7. After having lost hope of the caravan the Prophet returned to Madina. However, ten days had not yet passed since his arrival there when it was reported that Karz bin Jabir had raided and taken away camels and sheep of Madina. In order to pursue this plunderer the Prophet, accompanied by a group of persons, went up to the area of ‘Badr’, but had to return without achieving any success. Thereafter he stayed on in Madina till the end of Sha’ban. “Open this letter after you have performed your journey for two days and act according to its contents 276 and don’t compel anyone of your companions to do a job”. “When you look at my letter proceed on your way and camp in the land of ‘Nakhlah’ which is situated between Makkah and Ta’if and wait there for Quraysh and inform me about their activities”. “These Muslims are going to perform ‘Umra’ and have nothing to do with us”. At this moment the Muslims assembled for war consultations and began exchanging views. Eventually they realized that in case they waited on that day, which was the last day of Rajab, the sacred month would no doubt come to an end but if in the meantime Quraysh moved away from that spot they would enter the area of ‘haram’ and fighting in that area was also prohibited. They therefore, concluded that it was preferable to fight in the sacred month than to do so in the area of ‘haram’. Thus, taking the enemy by surprise, they killed Amr Khazrami, 277 the head of the caravan, with an arrow. As regards his subordinates all of them fled except Uthman bin Abdullah and Hakam bin Kaysan, who were captured by the Muslims. Abdullah bin Jahash brought the merchandise and the two captives to Madina. “I had not at all ordered you to fight in the sacred month”. “(O Prophet!) They ask you about fighting in the sacred month. Tell them it is a great sin and amounts to obstruction of the path of Allah. However, it is a greater sin before Allah to turn out the residents of Masjidul Haram and disbelief in Allah is worse than committing murder.” (Surah al-Baqarah, 2:219). By means of this verse Quraysh have been told that if Muslims have waged war in the sacred month and have thus done something unlawful, but they (Quraysh) have committed a greater crime, because they turned out the residents of Masjidul Haram (the Muslims) from their homes and created mischief by persecuting and torturing them. In view of these big crimes of theirs they have no right to object to the steps taken by the Muslims. “You should return two Muslim soldiers who were captured by you as a consequence of their being at a distance from others so that I may also release your captives. And if you kill them we shall also kill your men”. They were obliged to return the Muslim captives and with their return, orders were also given for the return of the Quraysh captives. However, one of them embraced Islam and the other returned to Makkah. The real object of dispatching these groups and concluding military pacts with the tribes who lived near the trade route of Makkan’s was to inform Quraysh of the military strength and power of the Muslims-especially when the Prophet himself participated in these maneuvers and stayed on the trade route of Quraysh accompanied by large groups of men. The illustrious leader of Islam wished to make the Makkan Government realize that all their trade routes had come under the control of the Muslims and they could stop their trade as and when they liked. Trade was something very vital for the people of Makkah, and the merchandise, which was transported from there to Ta’if and Syria, constituted the very basis of their economic life. And if these routes were threatened by the forces of a vigorous enemy and his allies like Bani Zumrah and Bani Madlaj the very foundation of their life would topple down. The object of dispatching these military missions and groups towards the routes of the enemy was that Quraysh might know that their trade routes had fallen in the hands of the Muslims and if they persisted in their obstinacy and prevented the propagation of Islam and presecuted the Muslims residing in Makkah their vital arteries would be cut off with the strength of Islam. 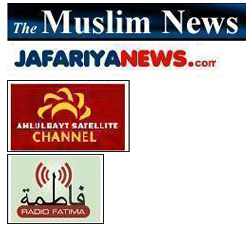 In short the object was that Quraysh should ponder over the matter and by taking all these facts into account they should allow the Muslims to preach Islam freely and should open the path for them to perform pilgrimage of the House of Allah and to propagate the Divine religion, so that Islam might influence the hearts by means of its rational and sublime teachings and the light of this religion might spread throughout the Peninsula and the centre of Arabia under the auspices of freedom. A speaker may be very eloquent and forceful, and a tutor may be very sincere and persevering, but unless they find free environments and unless the principles of freedom and democracy are established they cannot achieve proper success in guiding others and in propagating their points of view. The greatest impediment in the path of advancement of Islam was the lack of absolute freedom and the distressed conditions of environments which had been created by Quraysh. Hence, the only way to remove this impediment was to threaten the routes of their economy which were the very arteries of their life and this plan was given a practical shape by means of war maneuvers and military pacts. The orientalists have been gravely mistaken in the analysis of these events and have said things which are completely opposed to the principles of Islam and the aims and objects of this sublime religion. They say that the aim of the Prophet was to increase his own strength by plundering and confiscating the properties of Quraysh. This view does not, however, conform to the spirit of the people of Yathrib, because plundering and robbery are the activities of nomadic tribes who dwell in deserts, far away from civilization, and the Muslims of Yathrib were usually agriculturists who had never attacked any caravan throughout their lives and had never plundered the properties of tribes residing beyond their own environments. The fighting between Aws and Khazraj was a local affair and its fire had been kindled by the Jews to promote their own interests and to weaken the strength of the Arabs. Now as regards the Muhajir Muslims who were associated with the Prophet, although their properties had been confiscated by the Makkans, they were not planning to recover their loss. This is proved by the fact that they did not attack any caravan of Quraysh after the Battle of Badr. Moreover, most of the groups had been despatched to collect information and to furnish necessary reports. Groups of eighty or sixty eight persons were evidently not strong enough to plunder when the number of those who guarded the caravans was much larger than this. “The object was to take revenge on Quraysh, because when the Prophet and his companions thought of the persecution and torture to which they had been subjected, their sense of revenge and tribal honour was stirred and they determined to draw their swords, take revenge and shed blood”. 1. If the Prophet’s aim in dispatching these groups had been war and acquisition of booty it was necessary that he should have increased their number and sent a well-equipped army to the coastal areas. The fact, however, is that he sent only thirty pesons with Hamzah bin Abdul Muttalib, sixty persons with ‘Ubaydah bin Harith and a negligible number with Sa’d bin Abi Waqqas and the number of persons who had been appointed to guard the caravans was many times larger than these. Hamzah and ‘Ubaydah were confronted with three hundred and two hundred men of Quraysh respectively. And especially when Quraysh came to know that the Muslims had concluded treaties with various tribes they increased the number of the guards of their caravans. If, therefore, the Muslim Commanders had been dispatched to wage war, why did it so happen that in most of these expeditions not a drop of blood was shed and at one time both the parties did not want to confront each other on account of intervention by Majdi bin ‘Amr? “Camp in the land of Nakhlah which is situated between Makkah and Ta’if and wait there for Quraysh and inform me about their intentions”. This letter clearly shows that Abdullah was not at all dispatched to be engaged in fighting, for his only assignment was to collect information and the fight in Nakhlah, as a consequence of which ‘Amr Khazrami was killed, was the result of his consultations with his companions about war. Hence, when the Prophet became aware of bloodshed, which had taken place, he sternly rebuked and reproached Abdullah and his companions and said: “I did not order you to wage war”. It is evident that the aim of all or most of these expeditions was simply to seek information, and it cannot at all be said that Hamzah bin Abdul Muttalib was dispatched along with thirty persons to wage war. As regards Abdullah bin Jahash he was sent with eighty persons to collect information and the position is that the party which was sent to collect information was about three times as big as that which, according to the orientalists, was dispatched to wage war. And the reason for usually selecting Muhajirs to form these parties was that at ‘Aqabah the Ansar had concluded only a defence pact with the Prophet and had promised to safeguard his life in the event of an attack by the enemy. He did not, therefore, like to make them responsible for such expeditions at the very outset and to stay on in Madina himself. Later, however, when he went out of Madina himself he also took some Ansar with him to strengthen the ties between them and the Muhajirs. It was for this reason that the Muhajirs and the Ansar had the honour of accompanying him jointly during his journeys to Bawat and Zatul Ashirah. In view of these arguments the baselessness of the view of the orientalists about the dispatch of these parties becomes crystal clear, and by honestly studying what has been said above, their view about the expeditions in which the Prophet participated personally is also falsified, because those who accompanied him to Bawat and Zatul Ashirah were not Muhajirs only but a group of Ansar also went with him. And when the Ansar had not concluded a military pact with him, how could he invite them to war and bloodshed? The Battle of Badr, a description of which will be given later, bears testimony to our statement. The Prophet did not decide to fight this battle until Ansar consented to participate in it. And the reason why the Muslim historians have given these expeditions the name of ‘Ghazwa’ is that they wanted to collect all these incidents under one heading-otherwise, the real aim of these manoeuvres was neither plundering nor war booty. 274. Seerah-i Ibn Hisham, vol. II, page 222 onwards; Biharul Anwar, vol. XIX, pp. 186-190; Imta’ul Asma'; page 51;Tarikh-i Kamil, vol.lI, pp.77-78 and Mughazi-i Waqidi, vol. I, pp. 9-19. 275. Tarikh-i Kamil, vol. III, page 78. 276. It is said that till the Second World War the soldiers who completed their military service were given, along with a certificate, a sealed letter by way of a military trust, and were instructed to open it only at the time of general mobilization and to act according to its contents. 277. Some historians have mentioned his name as Waqid bin Abdullah and others ‘Amr bin Abdullah.